You may remember when GameStop stopped selling NES games. As the years marched on, they stopped trading SNES games, then N64, and so on as newer and “better” consoles were released. Now, however, it seems the company is taking the DeLorean back in time and will begin trading the classic consoles and games once again! Does anyone know why this character exists? I guess GameStop realized the nostalgic market really needs to reach back further than the first Xbox, so a time is coming when NES games are cool, hip, and retro enough for the stores, but PlayStation 2 titles are “too antiquated for modern gamers”. If you have some old cartridges collecting dust and don’t understand how eBay, Craigslist, or Gazelle works, head on over to your local GameStop after April 25th, 2015, to trade in your old titles. But, if you want to buy the games, you have to order them online—where they’ll be made available to you after going through a cleaning and refurbishment process. 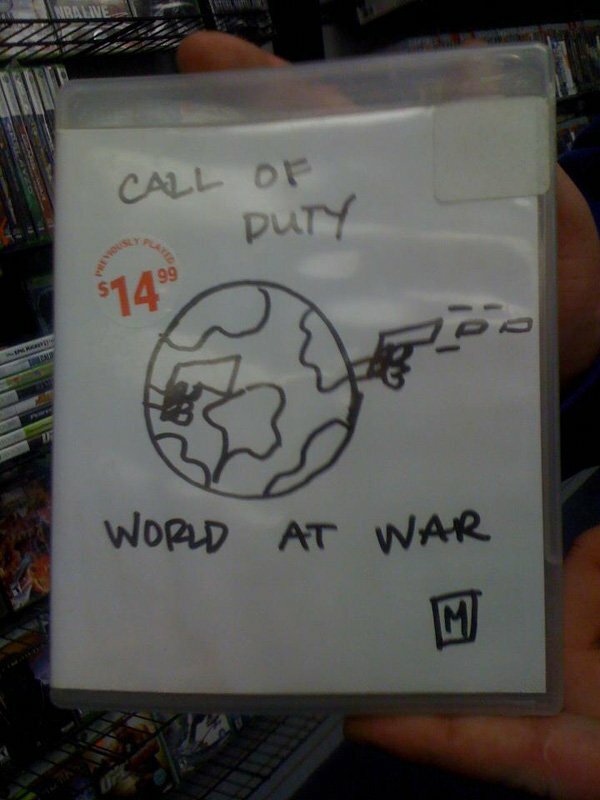 Hopefully this will also include those clever fake box arts that the staff like to draw. Is this real? I just checked the website and I don’t see any news about it, nor any prices on the Trade Value system they have. According to the first result I found on Google, it looks like April 25th starts the “pilot program in New York City and Birmingham, Alabama” and that we won’t even see the games for sale for “about eight weeks”. So, I guess it’ll be at least another month before we see anything…! Right, it seems to be a very limited pilot program, so it may never become fully public.